The servers for one of the best free PC games around were uncharacteristically quiet a couple of weekends back. 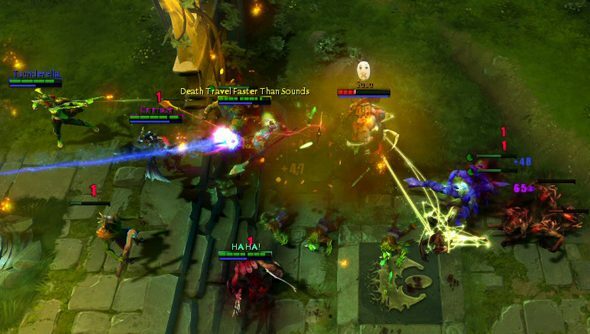 20 million would-be players were watching the Dota 2 International Championships instead. Valve have revealed that the 2014 International doubled last year’s record for peak concurrent online viewers, attracting “well over” two million people at once. The International was available to watch online through Dota TV and Twitch, as well as via US cable and satellite sports channel ESPN. Gabe Newell appeared in the channel’s coverage on the Sunday, and ESPN were “delighted” by Dota 2 viewing figures overall. “From the success of the Compendium to the collaboration with ESPN, this year’s International really demonstrates how much competitive gaming has grown to rival traditional sports,” said Valve’s Erik Johnson before the weekend. Newbee won the 2014 Dota 2 International, of course, taking home their $5 million share of the nearly $11 million prize pool. ESPN’s Dota 2 coverage proved too progressive for some of its viewers. But eSports is really taking hold, don’t you think?